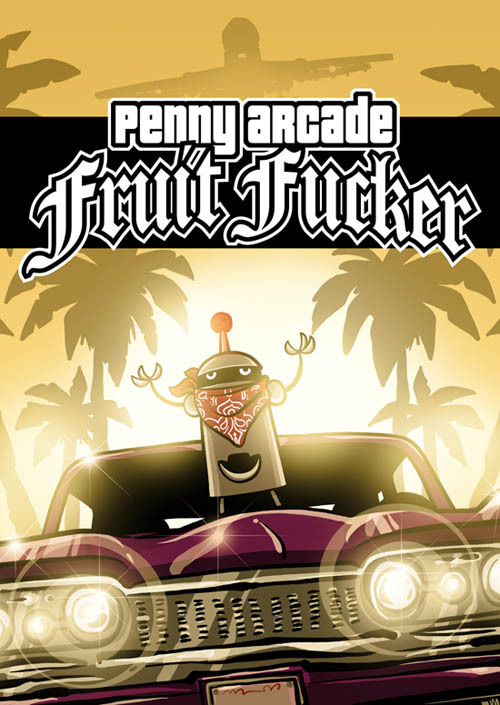 Best picture spotted before doing any real work for the day: Penny Arcade: Fruit Fucker San A ndreas. Best way of distracting me from my work: Home PC refusing to reboot. At all! What happened to Spidey’s web fluid?